Rita Ora is dressed in a zig-zag pantsuit by Missoni. What do you think of this look? Is it a Yay or a Nay? 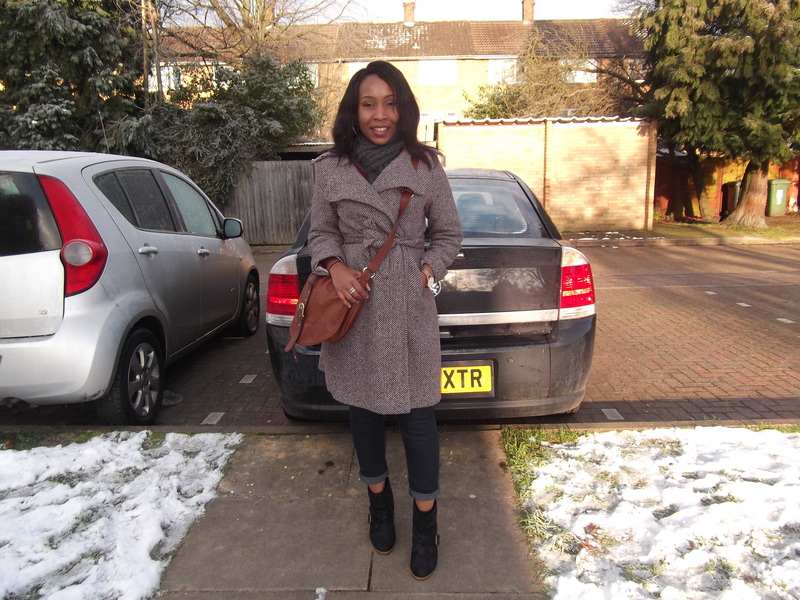 Our fashion diva of the week is the beautiful Sandra Akenuwa. Her style was featured last year but I decided to feature her again. Enjoy. She is wearing blue cropped jeans by New Look, jacket by Miss Selfirdge, black boots by New Look and brown bag by H&M. Her scarf is by New Look and watch by Fossil. Love this look. For this look, Sandra is wearing a black long sleeve top by Next,black leggings by Dorothy Perkins and a blue sleeveless dress with a belt by Primark. 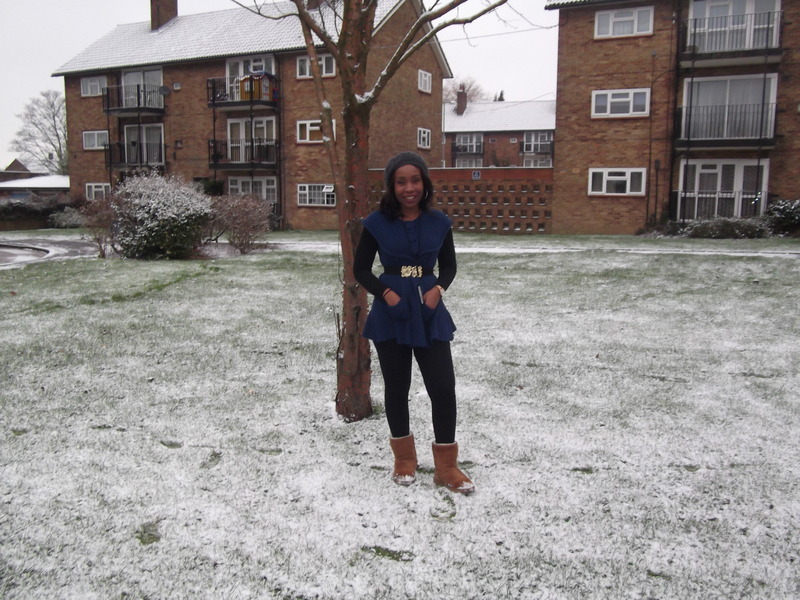 Her boots are by Uggs Australia and head warmer is by New Look – Pretty woman. The 71-year-old fashion designer – Vivienne Westwood known for her provocative outspoken nature is in the fashion news again, This time she criticised Michelle Obama’s style in an interview with the New York Times. She referred to her Mrs Obama’s style as “dreadful”. I completely disagree with Vivienne Westwood. I am not sure she understands the meaning of the word “dreadful” because Michelle Obama never looks dreadful. She has her signature style and she looks beautiful every time I see her.